There is a solution that is right for you. We are experts at helping you choose the right solutions for your needs. We believe it shouldn’t hurt to wear a prosthesis. That’s why we incorporate superior solutions into every design to help you live a comfortable, active life. From a partial hand, to a full shoulder disarticulation prosthesis, we understand for upper limb amputees, freedom starts with functional control…and when it looks good, that’s a win win! Our years of experience will help guide you toward the right prosthetic solution. Being fit with a lower limb prosthesis is a huge step to rediscovering your independence after amputation. 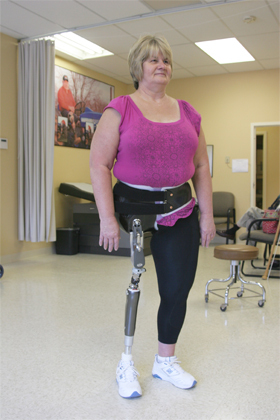 We understand your prosthesis needs to be expertly crafted to avoid pain and get you back on track. Our experience with lower limb prosthetics is extensive. From a partial foot challenges to hemi pelvectomy and hip disarticulation, certified prosthetist Rob Pinkston has a superior prosthetic solution for you. Over the past 20 years, prosthetic technology has come a long way. While no single solution completely restores function for all amputees, how the amputation is performed is the one variable that greatly impacts quality of life. The Ertl Procedure may not be an end-all, be-all answer, but we have seen remarkable results when working with clients who have elected to pursue this promising philosophy for their limb amputation or reconstruction. You’ve invested significant time and resources in your life as an amputee. However, you could still be falling short of reaching your full potential. What could be missing is a consistently solid relationship between your body and the socket. The Hi Fidelity Interface changes everything, and that becomes clear from the moment you stand in the Hi Fi Imager to feel the security of this solution. Don’t spend any more of your life searching for the consistent comfort and responsiveness that the right fit can bring. The Hi Fi Imager just might be the Holy Grail you’ve been seeking. There are moments in our work that we never forget. Seeing a lifeless limb of 15 years immediately, powerfully respond on command is a picture that is etched into our hearts. The WalkAide is affordable, impressive, and strengthens the limb through artificial nerve stimulation. It is a simple device, with the ability to reproduce natural muscular function. For someone living with MS, the WalkAide is a game changer. Custom Design. Amputees may share similar limb shapes, but no two are exactly alike. That’s why it’s reasonable to expect no two prosthetics to be exactly alike. At SPS, with full in-house prosthetic fabrication, evaluation of your limb and incorporating your preferences enables us to provide you with your best prosthetic options available. 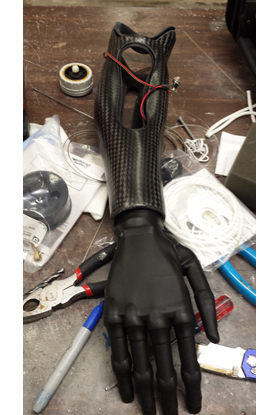 This may include custom prosthetic liners made directly from your limb shape, collapsible or volume adjustable sockets using Revolimb powered by the Boa System, or moisture management elevated vacuum provided by the Limblogic system. Prosthetic Rehabilitation. Our network of pre and post-surgical professionals work as a team to help you get back in action. We want to give you the tools and instruction to help you progress in both strength and confidence.